We dare you not to laugh while watching the rapper's trippy wildlife bit. Nature documentaries, although undeniably informative, have a reputation for being unforgivably boring. Unless the showrunners put in extra effort on aesthetics or the subject matter itself, regular TV viewers usually end up changing channels or falling into deep slumber. But what if they do something about the typical deadpan narration? A video of rapper Snoop Dogg as the voice-over for a Planet Earth-type of clip has recently gone viral for all the right reasons. Snoop proved that he's not just about the greenery (read: rappin', gettin' high and stuff), as he bluntly (pun shamelessly intended) narrated a beastly encounter between a crocodile and a group of otters in hilarious, oblivious-of-what-he's-talking-about fashion. Reposted by Facebook page Pigeons and Planes, the unlikely collaboration already has a whopping 33,315,83 views and 879,758 shares as of this writing. 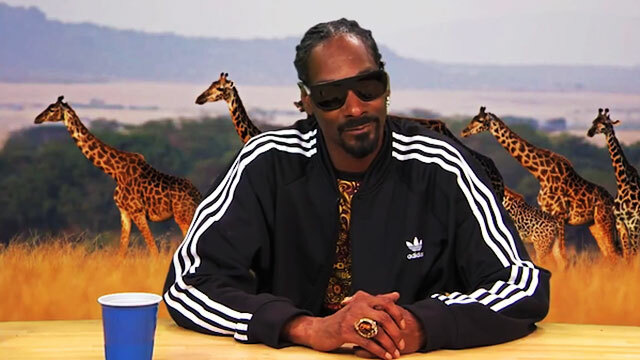 Apparently, this gem was originally from a segment on Jimmy Kimmel Live!, wherein Snoop teams up with the late-night talk show for "what critics around the world are calling 'the greatest nature program ever.'"